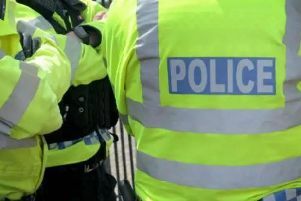 Police are appealing for witnesses after a man was assaulted and robbed in Leamington on Wednesday. A 26-year-old man was followed by another man as he walked up the Parade from the Pump Room Gardens at around 6pm on September 30. He turned left into Warwick Street where he was assaulted and his mobile phone was stolen. The victim, a white man who was wearing black trousers, black t-shirt and black shoes at the time, was taken to hospital for treatment for cuts and grazes. Police are now asking for anyone who may have seen him, or his attacker, to come forward. It is understood that he was followed by a white man who is described as being in his mid-twenties, approximately 5’9” tall, and of a skinny build. A Warwickshire Police spokesperson said: “He had short brown hair and was clean-shaven. Anyone with information, or who witnessed the assault, can contact police on 101.